Toddlers through 6th grade are welcome! 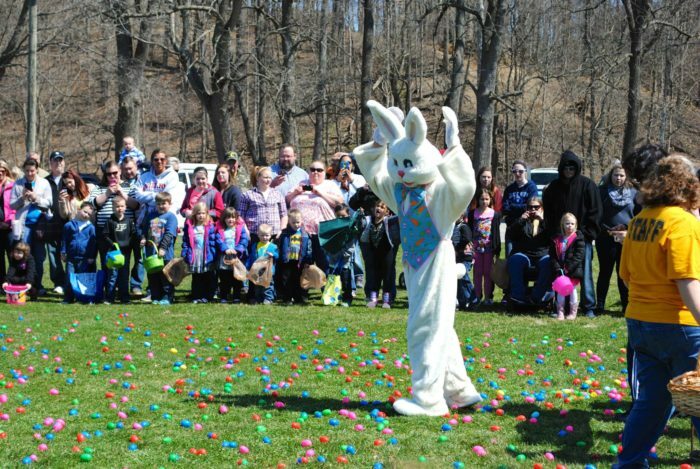 Sponsored by Madison County Realty, this Easter Egg hunts boasts the eggstra special guest – THE EASTER BUNNY! For kids up to 9 years old. Open to kids up to age 10, this hunt will begin promptly at 2:30pm. Visit Nicole for some refreshments and check out the latest in Spring fashion. 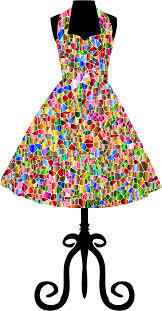 (Dresses are 15% off!) You can even register for a chance to win a $25 gift card. Spring Open House at Pine Creek Ltd. Enjoy samples of the gourmet food lines, register for prizes, and take advantage of shopping specials this weekend at Pine Creek o the west side of the square. 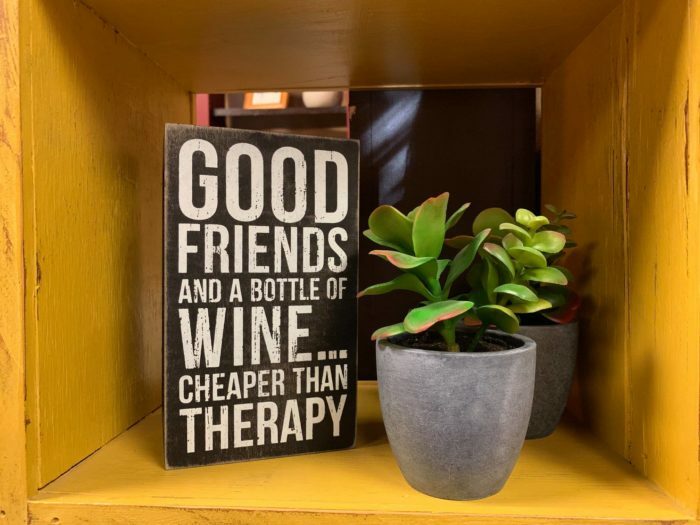 You can find lots of new merchandise for 2019 as well. 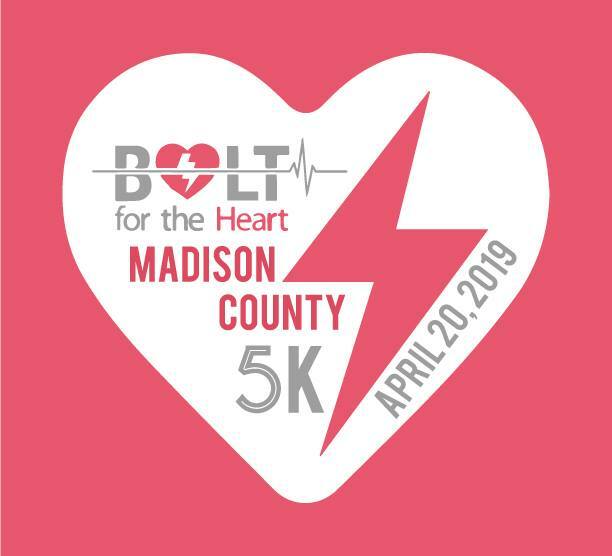 The Madison County Leadership Institute: Class of 2019 is holding a 5K Run/Walk to raise funds to purchase AED’s (Automated External Defibrillator’s) for the Madison County Law Enforcement patrol cars, including the Madison County Sheriffs Department, the Winterset Police Department, and the Earlham Police Department. AED stands for Automated External Defibrillator and is used on patients that are experiencing sudden cardiac arrest. Police are often able to arrive on the scene before an ambulance and the earlier defibrillation can be provided the better the chances of survival. While AED’s are a critical first response item, many police department’s such as our own do not have access to them due to the cost. Our goal is to raise enough money to provide these to all of our county police force. 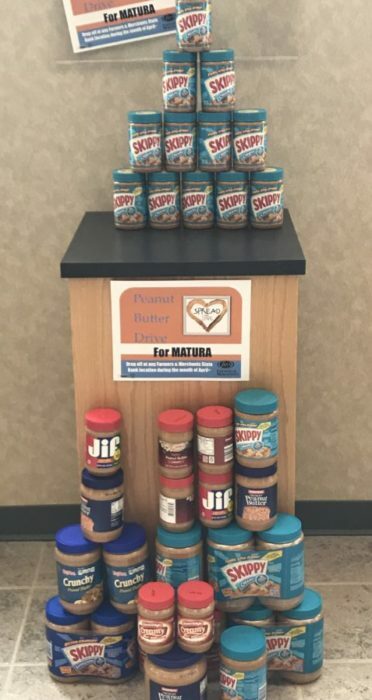 There is still time to donate peanut butter for MATURA. Drop off your donation at any Farmers & Merchants State Bank location this month. All donations will make their way to the food bank at MATURA. 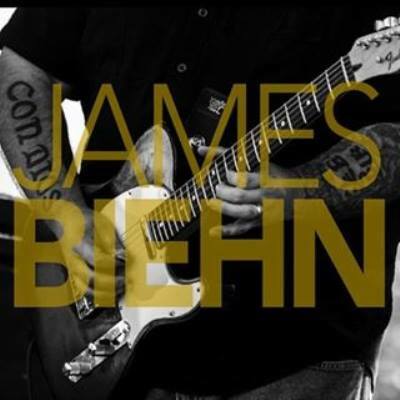 Covered Bridges Winery invites you to enjoy the wonderful talent that is James Biehn this Saturday night! Listen to blues, rock and Americana; James’ style! $5.00 cover. Music from 7:00 to 10:00 pm. Rescue Burgers & Q will be serving from 6:30 to 8:30 pm. 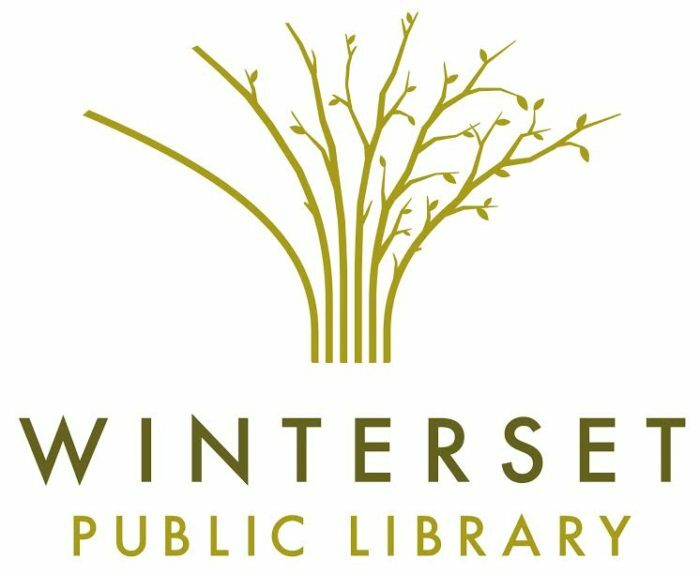 Please join the Winterset Board of Directors for an open house as they say “Thank you” to the Greater Madison County Grant Foundation and to all the other donors who gave to the Winterset Art Center Year 60 Capital Campaign. Visit them and see the renovation progress all made possible by your generous contributions and support. 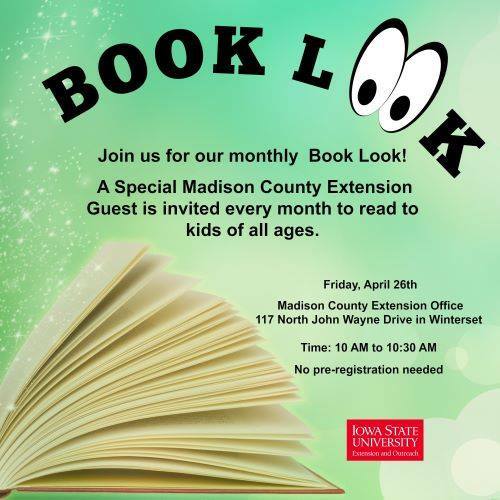 Join the extension office for their monthly Extension Book Look! A special Madison County Extension Guest is invited every month to read to kids of all ages. This month is Garden Month and they will be hosting a Master Gardener to read to kids and then lead them in making dirt cups! This event is free to attend and no pre-registration is required. The Iowa Quilt Museum is gearing up for the 2nd Annual Madison County Airing of the Quilts. 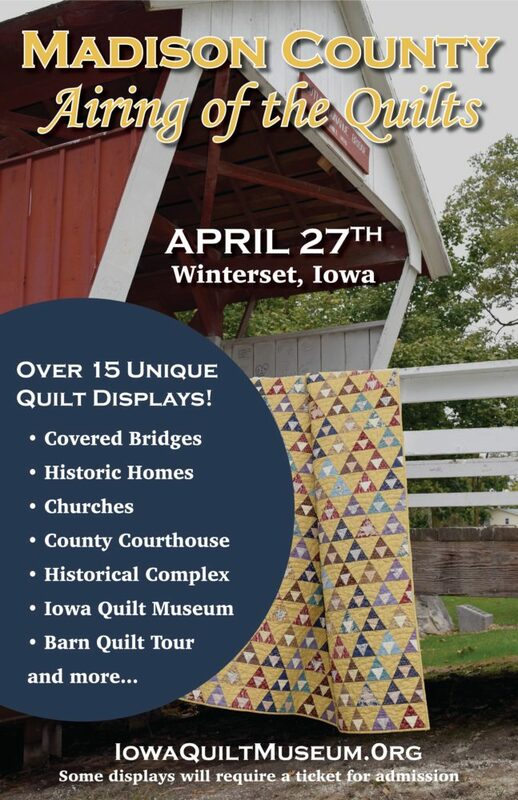 This community-wide event will feature quilt displays in over 15 unique locations in Winterset and Madison County including: three covered bridges, five churches, three historic homes, the Madison County Historical Complex, the Madison County Courthouse, Winterset City Park, the Winterset Public Library, Piece Works Quilts shop (upstairs), and, of course, the Iowa Quilt Museum. Some displays will require a ticket for admission. That $20 ticket can be purchased in advance through the Iowa Quilt Museum or on the day of the event at the IQM or Chamber of Commerce. The outdoor displays are free and open to the public and you all are encouraged to join in by hanging a quilt at your own home. It could be on a clothesline, a fence rail, your porch or deck or even hanging out of a window—use your imagination! You can also support the Iowa Quilt Museum by attending the fundraising dinner and auction that evening (April 27th). The dinner will be held at the Jackson Building and tickets are $40. Social hour and silent auction will start at 5:00. Dinner will be served at 6:00 and the program and live auction will be after dinner. The program will include a short trunk show of quilts from the collection at the Grout Museum in Waterloo. 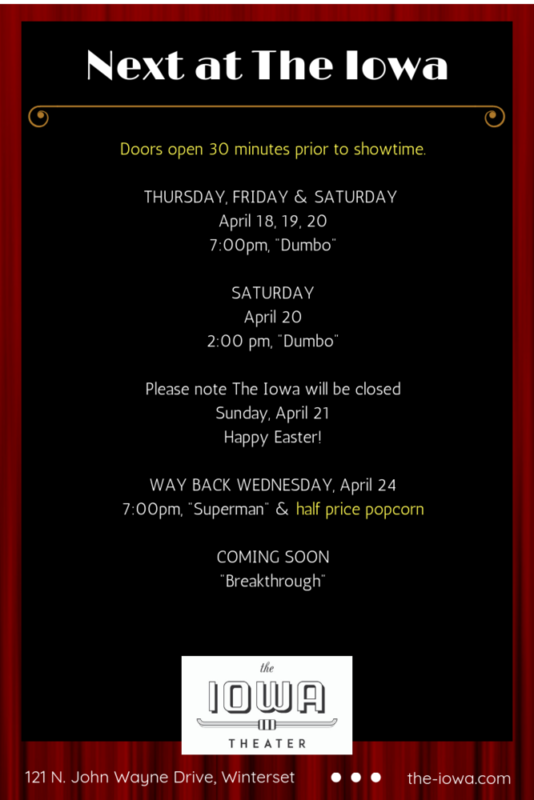 Tickets for that event can be purchased at the Iowa Quilt Museum or online. You can visit the Iowa Quilt Museum’s website to get all of the details about the multi-faceted event. Bring your donations of books, movies, music and puzzles to the library NOW! 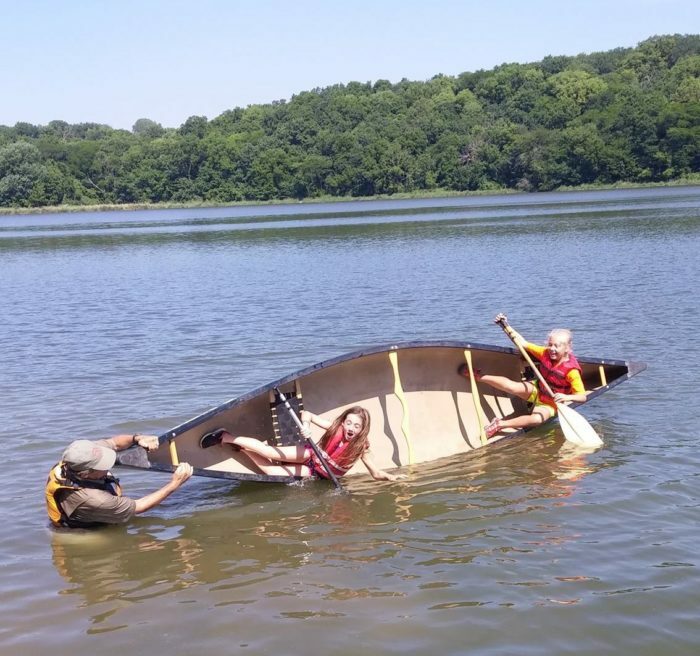 Check out the Madison County Conservation Board’s Facebook page for their summer camp offerings. Summer camp and playing outside in the warm summer sun sounds good to us! !